Eureka’s June 2019 release schedule has been confirmed today, and is set to feature the film which launched the career of Leni Riefenstahl; an exhilarating Oscar-nominated political thriller starring Nick Nolte, Gene Hackman and Joanna Cassidy; and two essential films from one of action cinema’s all-time greats. German filmmaker Arnold Fanck made the beautifully photographed Bergfilm, The Holy Mountain, in 1926. Written in three days and nights – especially for Leni Riefenstahl – The picture took over a year to film in the Alps with an entourage of expert skiers and climbers. Digitally restored in 2K, The Holy Mountain is a visual feast – and a fascinating look at the origin of a genre. 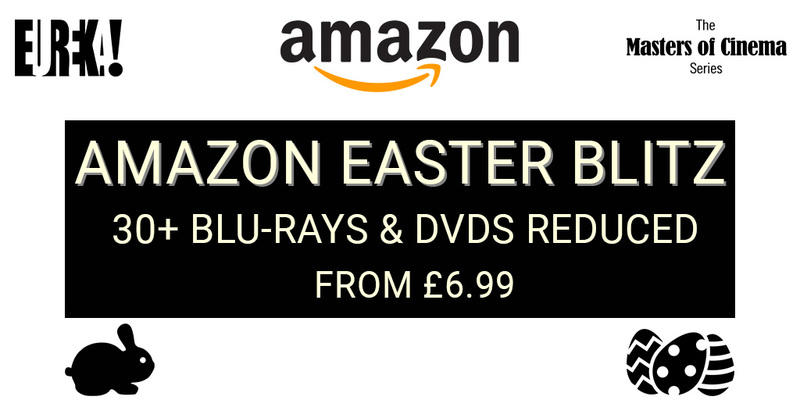 The Masters of Cinema Series is very proud to present this landmark film in its UK debut on Blu-ray, available from 17 June 2019. Nick Nolte, Gene Hackman and Joanna Cassidy play three journalists caught up in the 1979 Nicaraguan revolution in Under Fire. With cinematography by the great John Alcott (2001: A Space Odyssey, Barry Lyndon) and one of Jerry Goldsmith’s greatest scores (later sampled in Quentin Tarantino’s Django Unchained), Under Fire is director Roger Spottiswoode’s greatest filmmaking achievement, a complex political thriller with shades of Casablanca, and Eureka Classics is proud to present the film in its UK debut on Blu-ray, released on 17 June 2019. A decade before he would change action filmmaking forever with A Better Tomorrow and The Killer, director John Woo was directing martial-arts films for the two biggest studios in Hong Kong, Shaw Brothers and Golden Harvest. Under the mentorship of the great Chang Cheh (Five Deadly Venoms), Woo began to develop his signature style, films that featured slick, stylish and often violent choreography, with dramatic plots that revolved around brotherhood, honour and redemption. Obscure and largely unseen for many years, Eureka Classics is proud to present these two early films (Last Hurrah for Chivalry and Hand of Death) from one of action cinema’s all-time greats for the first time ever on Blu-ray, from brand new 2K restorations. Released on 24 June 2019.